귀뉴형(龜鈕形) 옥보(玉寶)인 는 세자시강원관리를 임명하는 문서에 날인하는 국새로 1889년에 제작된 것이다.『보인부신총수(寶印符信總數)』에 세부의 크기가 적혀있고,『승정원일기』에도 고종의 명에 의한 제작배경과 보관위치, 사용된 예까지 실려 있다. 는 제작연대가 분명한 왕실공예품이라는 점과 세자시강원(世子侍講院) 관리를 임명하는 문서에 날인하는 국새라는 점에서 역사성이 있고, 환수문화재라는 의미도 있다. 보존상태 또한 양호한 편이어서 지정 가치가 있다. 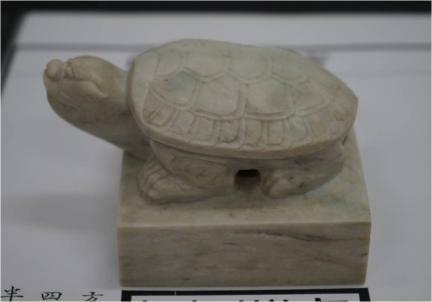 Produced in 1889, this tortoise-knobbed jade seal bearing an inscription of four Chinese characters, Jun-Myeong-Ji-Bo (literally meaning ""Seal of the Profound Brilliance""), was used to seal letters of appointment for officials, including those of the Seja Sigangwon (Education Council for the Crown Prince). 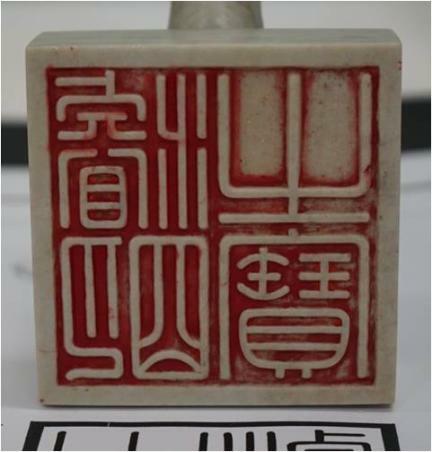 Information about the seal, including its production, dimensions, depository and use, are introduced in Boin busin chongsu (Complete Register of Royal Seals and Credentials) and Seungjeongwon ilgi (Diaries of the Royal Secretariat). Due to its historical value as an administrative tool used by King Gojong (r. 1863-1907) in the appointment of officials responsible for the crown prince's education whose date of production is clearly known and its status as a successful example of art repatriation, this seal is regarded as worthy of inscription on the national cultural heritage list.